The 6L6EH is modeled after the vintage RCA 6L6GC "blackplate". The 6L6EH features large plate dimensions and improved grid structure for increased power handling capabilities. Also features mica spacers with metal springs to eliminate tube rattle and microphonics. The 6L6EH offers tone and performance superior to any other 6L6 or KT66 type. 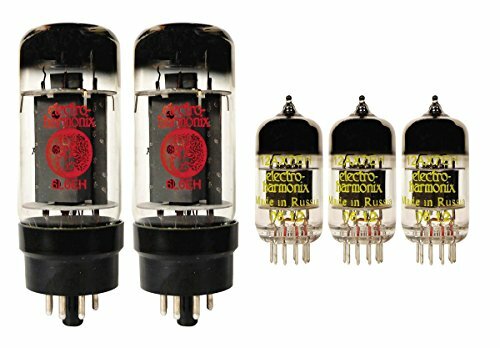 The 12AX7EH provides high gain with ultra low noise and detailed, musical tone that rivals the most desirable NOS types. Unique spiral filament eliminates filament to cathode induced hum common on amps that use AC on the filaments.